Working Product: First public chain integration (Ethereum) scheduled for June 2018. Roadmap: The Wanchain 2.0 release in June will be the first big milestone that connects the entire Ethereum ecosystem to Wanchain. A multi-coin wallet will be deployed at that time too. December 2018 will see the integration of the most secure and powerful distributed ledger in the world, Bitcoin. The roadmap’s last target is pretty far away with December 2019 bringing the integration of private chains. Also, ledger support is supposedly happening this month (April). Since I covered ICON extensively back in March, I started my research on another member of the notorious “Inter-Operability-Alliance” that turned a lot of heads both at the time of their ICO back in October 2017 and when their mainnet tokens finally listed on Binance on March 23. I am talking of course of Wanchain. As per usual, I am not giving price predictions and won’t present charts and entry levels to you. In this article I will rather zoom out like I did with ICON and explain why I believe that Wanchain has the potential to fill a key role for the digital economy ecosystem as a whole in the future. So what’s the vision behind Wanchain? As stated above they are aiming to become a “distributed bank” and even a “decentralized financial infrastructure”. I want to argue here that to appreciate what they are building we need to have an understanding of what banks in traditional finance do, how they operate from an accounting perspective and lastly, with what kind of lean and clever design Wanchain are trying to not only mimic these kinds of institutions but to translate the banking use-case to distributed ledger technology (DLT) and thereby transcend it. 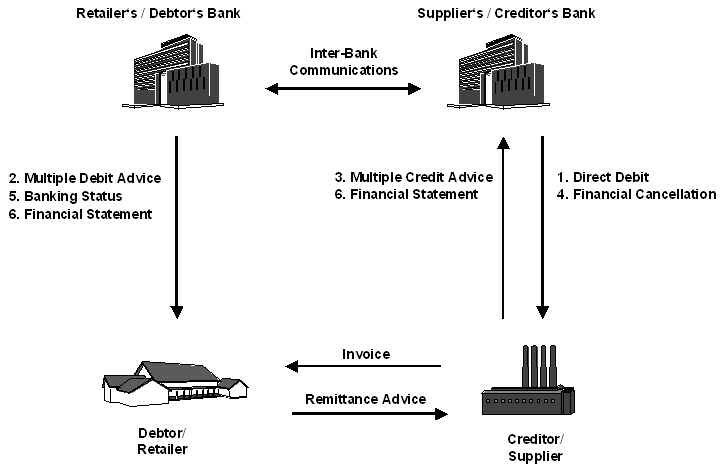 At their core, banks are bookkeepers recording debtor-creditor relationships. They keep ledgers of asset transfers, just like blockchains do, only that they usually are not decentralized. Payments that are settled across different banks are handled by comparing and adjusting the respective ledgers. Book money plays a key role in the day to day operations of any bank. Recently it has been widely criticized how private banks can create book money any time they, for example, grant a credit to a debtor. This line of reasoning makes them responsible for the most obscene and dangerous global inflation in history. Private banks can bloat up the circulating money supply way above the money base issued and controlled by the central banks. So although legislative measures in form of Basel I-III have been taken following the global finance crisis of 2007–2008, most of the so called “broad money” flowing around is made up of book money at this point in time.² In his Credit Theory of Money, German/Austrian economist Joseph Schumpeter famously warned about this sort of unproductive credit creation. Now I’m not bringing up Schumpeter here by accident as the Wanchain whitepaper starts out citing Friedrich Hayek regarding how currencies that are competing in a free market will be filtered out until we are left with “the most appropriate currency for us”. Hayek and his teacher Mises, both scholars counted among the Austrian Economics like Schumpeter, famously predicted the 1929 stock market crash and the great depression following thereafter. In a recent interview, Wanchain’s president Dustin Byington tells the story of how he joined the company. He starts out by letting us know that his career started out at Goldman Sachs “one year before the financial collapse. I worked there and I graduated from Columbia in 2007, so I saw all of this unfold first hand”.³ In 2013, Byington found out about Bitcoin. I think it’s important to pay attention to references like this if we want to look into the future of a project. We need to know how a team analyzes the past to forecast how well they will be able to shape the future. For that reason I pointed out the post-structuralist inspirations in the ICON white paper. As I argued there, I want to see a strong vision when I choose an investment. Wanchain’s framework for financial institutions identifies key shortcomings of the current system and promises greater stability, accessibility and trust by leveraging blockchain technology in an innovative way. Now that we know some basics about banking (and what’s wrong with it) we can appreciate how Wanchain is creating its counterpart for digital assets while fixing flaws of the current financial system along the way. Other than aspiring to be a next gen marketplace for digital assets, its codebase is an improved version of Ethereum that allows the creation of dApps and the issuance of tokens (ICOs) on their platform. One reason why ICOs would decide to run on Wanchain is that projects created on the platform will actually inherit Wanchain’s cross-chain capabilities. Now if that isn’t a unique selling point, I don’t know what is. 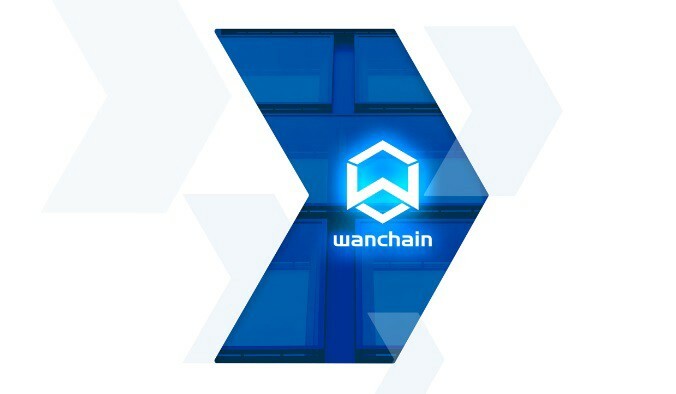 The most prominent feature that Wanchain offers is cross-chain transactions. This is where the bookkeeping described above comes into play. The Wanchain protocol enables users to transfer assets from one blockchain to another. Let me quickly explain how this works from a user perspective in layman’s terms. I will use a transaction from Ethereum to Ethereum as an example to keep it simple. Most articles I read did not care to explain how it works but in my opinion it is vital to understand how elegant this design actually is: If I want to send Ether to you, I initiate a transaction on my wan wallet and approve the transaction on the original chain (in this case Ethereum). Placeholder tokens are created on Wanchain called ETH’. At the same time, the equivalent amount of ETH is frozen in a locked account on the original chain (Ethereum). Now the placeholder tokens ETH’ are being sent to your Wanchain wallet where you could either decide to continue using them for different purposes in the ecosystem or redeem them for the ETH on the original chain. In that case the ETH’ will be cleared and the corresponding amount of ETH will be moved from the locked wallet to your Ethereum wallet. A cross-chain transaction from Ethereum to Wanchain, creating the placeholder tokens ETH’. This is the first part of a possible Ethereum to Ethereum transaction using Wanchain as described above. The exciting part is that we could do the same transaction from Ethereum to Bitcoin and that is where the fun starts: My ETH would stay frozen in the locked account while you would redeem BTC from a different locked account on the Bitcoin blockchain. The process is pretty similar to somebody depositing cash at a bank for a fiat transaction. After the deposit, the bank would “lock” the cash and issue book money on your account. In this example, the placeholder tokens Eth’ fill the same role that book money in traditional finance does. The beauty of this in comparison to traditional finance is that smart contracts and a set of verification nodes are in charge of these operations. So in no scenario could somebody issue an amount of placeholder tokens that exceeds the value of frozen assets on the original chains. While the appeal of doing cross-chain transactions between Ethereum and Bitcoin is obvious, you might wonder why you would want to use Wanchain to send ETH around. This is where the second huge feature comes into play which is top tier privacy protection. Wanchain achieves privacy for its users in two ways: Ring signatures and one-time accounts. I won’t go into too much detail about the intricacies of ring signature transactions but I want to point out that it’s the feature that made Monero popular as a privacy coin and that many security experts I talked to favor it above other methods. In a ring signature transaction a number of accounts is assembled to sign a transaction and while anybody can verify that the signature is valid, it is not possible to discern which of the accounts signed it. 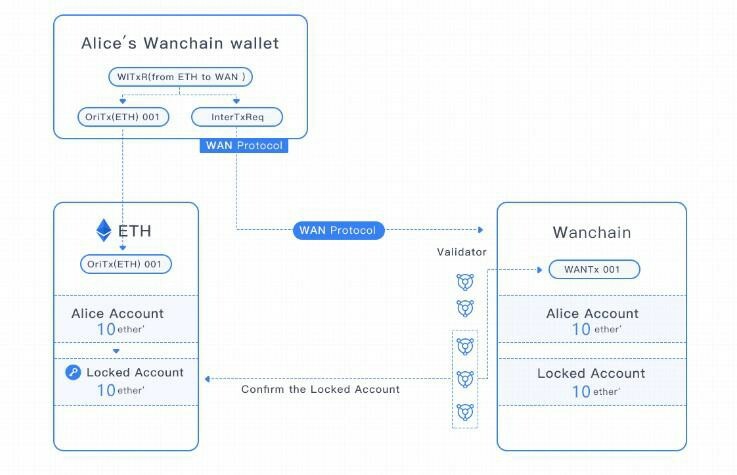 On top of that, the Wanchain wallet can generate one-time accounts for every transaction that is issued. Those accounts aren’t even visible without the associated scan key and nobody can get the private key without the main private key. This offers impeccable privacy that Wanchain brings to all the other blockchains that are being integrated. Users will be able to send Bitcoin, Ethereum or all the associated ERC20 tokens behind a veil of anonymity that at this point only privacy coins can offer. Moreover, this will allow the private transfer of many classes of assets on the blockchain, but more on this later. This privacy feature is the next building block bringing Wanchain closer to the equivalent of a bank for digital assets. On Wanchain, projects can actually deploy smart contracts that work cross-chain and totally anonymously. The last building block I want to mention concerns the final property that Wanchain shares with a traditional bank: Security for the assets held and distributed through the network. One could argue that the privacy features already contribute to security in a significant way. On top of that the system offers key generation and management through a so called “Locked Account Generation Scheme” employing multi-party computing and the splitting up of keys on the basis of a treshhold key sharing scheme called “Shamir’s Secret Sharing”. This ensures that private keys are never generated or reconstructed in the entire network but are computed by a minimum amount of validators that hold fragments of the key separately. 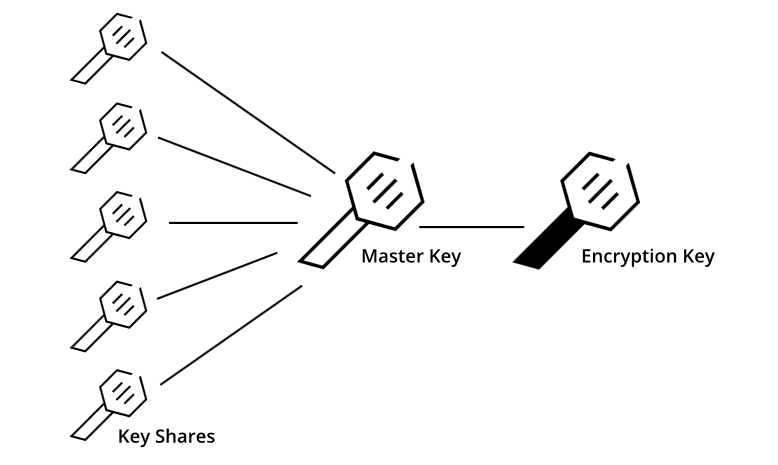 Again I will spare you the technical details but point out the need that a network like this has for top notch security: Securing the locked assets of the original chain is of the utmost importance to the operations of Wanchain and we can think of it as the cryptographic abstraction of a physical safe in a bank. Borrowing and lending, employing a similar mechanism with placeholder tokens on Wanchain and frozen assets on the original chains as described for cross-chain transactions above, with smart contracts calculating interest rates. Businesses will be able to use the wallet to introduce a payment method for multiple digital currencies for their customers. Decentralized exchanges based on Wanchain will be able to support more crypto currencies than what we currently see as soon as more blockchains are integrated. So far we can use decentralized exchanges to trade ERC20 tokens based on Ethereum and there are decentralized exchanges coming up for Neo’s NEP5 tokens, for example. Wanchain’s cross-chain functionality will make it possible to trade an ERC20 token for BTC or later down the road even tokens on the NEO blockchain for EOS. The best part about is — and again a unique selling point — will be the privacy protection that the respective smart contracts will operate behind. Token issuance via ICOs that will inherent Wanchain’s unique features has already been mentioned above. The companies and projects issuing tokens will be able to deploy multi-currency smart contracts for ICO investors that will again be hidden behind ring signature privacy protection. On top of that, traditional institutions and businesses will be able to create private chains (called “consortium chains” in the whitepaper) that will be integrated on the Wanchain. I would like to return to the original pitch from the white paper here for a second that mentions how Wanchain aims to allow “the exchange of value” among different blockchains and to become a “distributed infrastructure of digital assets”. The key to assessing the future value of the network correctly here is a proper understanding of the term “digital assets” and how “value” on a blockchain is not limited to the exchange value of a certain token or coin: Digital assets can be property rights to real estate, patents and other form of intellectual property, stocks, precious metal options, medical data, logistics transaction data, future earning rights, accounts receivable and many other things. We are currently witnessing the advent of a “tokenization of the real world”. Most current ICOs further this movement and come up with creative ideas of what to tokenize next. 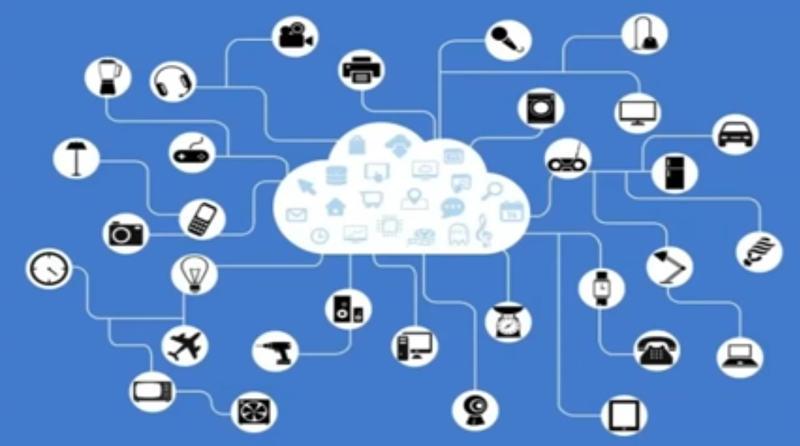 A random visualization of things that are connected to a cloud. Some of these icons actually do make sense in regards to the “tokenization of the real world” though and the ones that don’t inititally might be the starting point of new ideas of what to tokenize. After Wanchain integrates the Ethereum blockchain in June, they will start working on integrating ERC20, so more than 300 Ethereum-based tokens listed on Coinmarketcap will enter this ecosystem, among them projects like Powerledger that tokenizes renewable energy shares, several projects that tokenize the ownership of precious metals, or SONM that tokenize cloud computing. When Wanchain connects to Bitcoin at the end of 2018 and issues private chains in 2019, many big hitters from the institutional space could follow. At some point the Wanchain is supposed to be a “global network” according to Dustin Byington, “but to do that, you need to be able to connect with many, or hopefully, all of the chains”.⁴ The “banks” that build financial instruments and applications around the assets on Wanchain’s distributed infrastructure will get creative and consequently the network effect would increase exponentially with further adoption. Cross-chain and inter-chain transactions on Wanchain require the payment of fees in form of Wancoin. Certain nodes (“Vouchers”) will also receive security deposits when transactions are issued. Wanchain will introduce PoS when Ethereum updates its own consensus algorithm. Wancoin holders that have enough WAN will be able to form three types of verification nodes that monitor and control all transactions on the network. Those nodes get rewarded in fees for different services like the recording of transactions, key share and signature share management as well as proving transactions between original and locked accounts. Investors that only hold smaller amounts of WAN will still be able to participate in securing the network as general nodes by entrusting their stakes to a verification node that in turn will distribute part of the fees it receives to the general nodes. Wancoin will be used to invest into ICOs developed on Wanchain, although it lies in the nature of the project that some ICOs will offer multi-currency smart contracts as described above. They announced six projects to be launched over the course of the first few months after mainnet release of which three are already known: AllSpark, a We-Media knowledge sharing platform, Utour which offers services around travel and tourism and GameBank, a gaming blockchain that tokenizes in-game transactions, micro transactions for free-to-play games and the trading of in-game items. 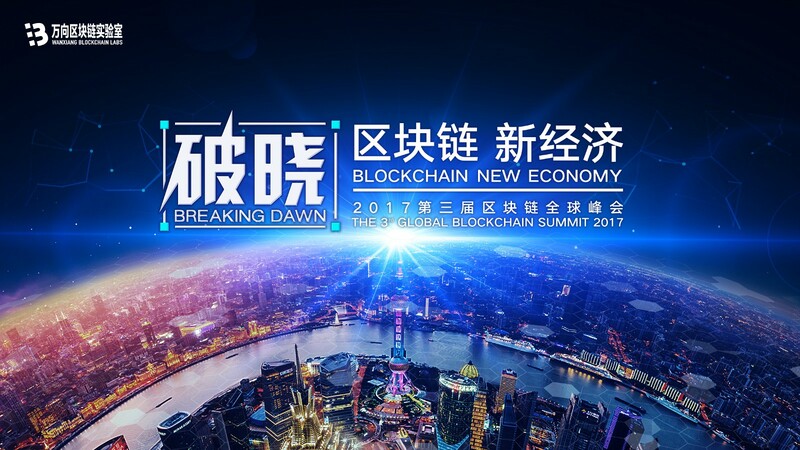 The remaining three projects will be announced on occasion of the World Blockchain Forum in Dubai on April 16th (the day of the publication of this article). 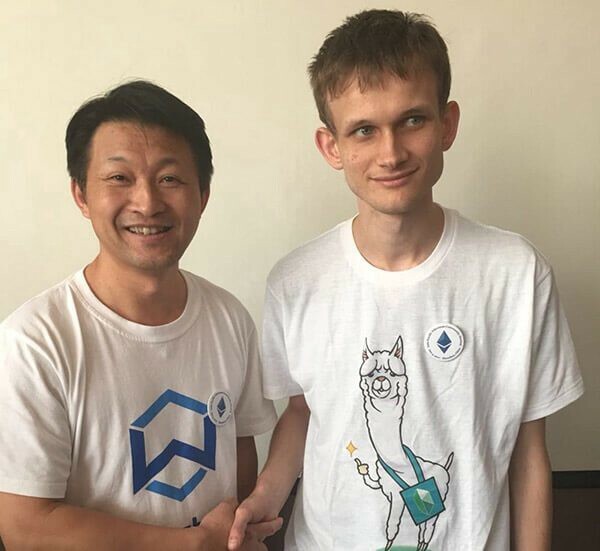 Jack Lu: Wanchain (WAN standing for Wide Area Network) was founded by Jack Lu who is one of the biggest names in the blockchain and crypto space since he famously co-founded Factom (as one of the first ICOs they were able to attract investors such as Bill Gates) as their CTO in 2014. The graduate from Peking University and Ohio State University not only has many years of experience in finance but also proven success working in the blockchain industry. After leaving Factom he founded his company WangLu Tech in China in 2016 that started working on Wanchain. While Wanchain is a Non-Profit Foundation listed in Singapore, WangLu Tech will be in charge of commercial applications on the Wanchain. This will be important when we cover existing and possible partnerships. Dustin Byington: The graduate from Columbia is a veteran in the blockchain space too, having founded Bitcoin College in 2014, Satoshi Talent, Stokens Venture Capital and co-founded Terndermint in 2015. Byington has been appointed president of the Wanchain Foundation. Byington offers a huge network in crypto as well as notable connections to the finance world due to his time at Goldman Sachs. Developers: Ying Zhang and Zane Liang stand out as core assets to the development team in China with Zhang being a senior developer of Ethereum and bringin experience as a senior engineer at Huawai as well as in multiple positions as CAO and CTO at other companies. Liang is one of several PhDs in applied mathematics that are working at Wanchain (those are the folks that made understanding that white paper so damn hard but also an enjoyable learning experince) that specializes in high performance computing as well as cryptographic algorithms and security. Veteran devs from Factom joined Wanchain, such as Michael Y. who functioned as the core developer on Factom as well as Omni and Mastercoin. There are a handful of devs from the early days of crypto on this team that are easily identified by their anon pictures on the team site, good to see. While many articles place the team count at 23 members and 11 advisors, according to recent information Wanchain has 40 engineers working at their Peking office alone. Wanchain have established several partnerships in the crypto and blockchain world already with the Inter-Operability-Alliance comprised of ICON, AION and Wanchain being the most prominent. Other than that they announced a partnership with the Vitalik Buterin-backed Kybernetwork (as did ICON earlier) and Decentraland. WangLu Tech received investments from River Capital and Fenbushi Capital among others.⁷ Fenbushi Capital got launched by the automotive components manufacturer Wanxiang Group in mid-2015, at the same time a Wanxiang subsidiary bought around $500.000 worth of Ether. Fenbushi Capital is a name to take note of as they pop up around some of the most prominent and sought after projects in crypto, as for example Vechain. WangLu Tech is partnered with the Wanxiang Group subsidiary Wanxiang Blockchain Labs which is the most prominent blockchain consulting company in Shanghai and home of the Wanxiang Chainbase Accelerator that is an incubator similar to ICON’s parent company theloop. Aside from Vitalik Buterin, David A. Johnston, the co-founder of Factom and advisor of Wanchain, is among the mentors at the Chainbase Accelerator. The missing piece in understanding how big of a connection this could be is the parent company Wanxiang Group itself. Founded in 1969, it’s China’s largest automotive components company (in revenue) that founded the US-based hybrid car manufacturing company Karma in 2015. In 2016 they, single-handedly launched their own smart-city initiative in China, investing $30 Billion over the course of seven years and acquiring 83 million square feet of land in the Hangzhou, the capital of the province Zhejiang close to Shanghai. Wanxiang are planning to use blockchain in their smart cars, possibly securitizing battery life, and push innovation in this field in general. Another notable partner of Lu’s company WangLu Tech is the Cheung Kong Graduate School of Business, alma mater to Alibaba’s Jack Ma and Wu Yajun who was named the richest women in China in 2012. Obviously there are other decentralized exchange protocols like Kyber or 0x that could be seen as competition. What we have to keep in mind though is that they are only working for the Ethereum Blockchain supporting the native ERC20 tokens. 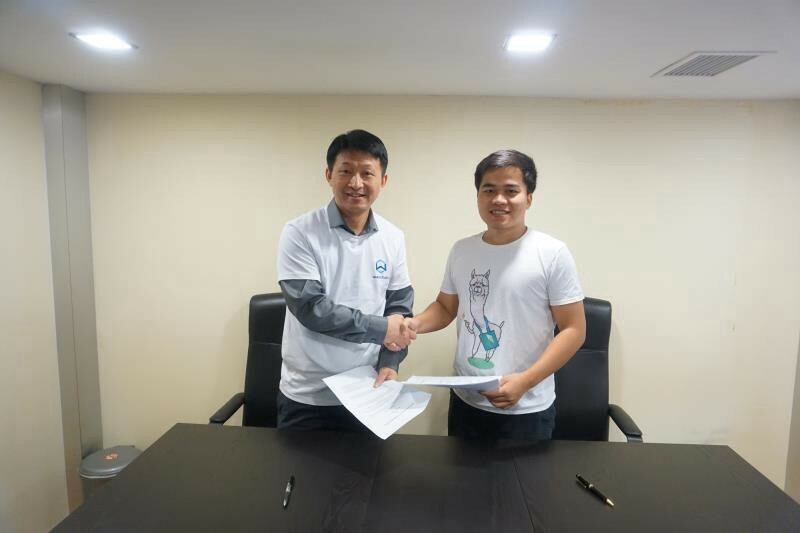 In fact, Kyber have engaged in the partnership with Wanchain to build a decentralized exchange on the Wanchain so they can support cross-chain transactions and expand their ecosystem. There is a notable list of competitors with ICON, AION, but also Komodo who have perfomed cross-chain transactions in the past using a system similar to Wanchain. Even Ripple plans to be a hub for trading digital assets on a blockchain, but as Byington pointed out in an AMA in January, they are built on top of the existing financial system while Wanchain are building completely new kinds of financial services.¹¹ While ripple is highly centralized, we see Wanchain actually working together with some of their competitors realizing a) that the market will be huge enough to allow several projects to be successful and b) that blockchain technology is still in its infancy and you need strong allies that cooperate on solving the major problems ahead, scalability being the most pressing issue. I commented in my ICON article on how I see this attitude as a strength of these projects (in this case the Interoperability-Alliance). Could atomic swaps render Wanchain (or other comparable cross-chain protocols) useless? The short answer here is no. Neither Ethereum nor the ERC20 tokens are currently compatible with, for example the security features on the Bitcoin protocol.¹² Similar statements could be made for a lot of other possible combinations. Ethereum’s scalability obviously is the big elephant in the room here. While other 3.0 blockchains are building their own architectures from the ground up, Wanchain borrows a good amount from Ethereum to focus work on the building blocks described above. After incidents like crypto kitties, there is a healthy amount of scepticism in the crypto space regarding the question of how a network like Ethereum will ever achieve the transaction speed necessary for mass adoption. Wanchain seem very confident that they can rely on the Ethereum developers to find a solution to scaling as well as to create a basic framework for PoS. So far, as Min Kim from ICON pointed out in an interview this year, all the claims of transaction speeds of the new kids on the blockchain are just that: claims, until proven on a running network with sufficient traffic and complexity. Basically Wanchain are banking on the second most proven blockchain and development team in existence. They seem to have strong connections to the ethereum developers (with Ying Zhang being a senior ethereum dev, for example). Everybody has to discern themselves whether to trust Wanchains decision here or not. Keep in mind that the funds, manpower and experience behind Ethereum (just think about the Ethereum Alliance) are not to be underestimated. With upgrades like Plasma, Sharding and Raiden in the pipeline, we will see things unfold rather soon. EDIT (April 18): I also recently learned that while Wanchain are looking at Ethereum to find good solutions, they are not dependable on it and will work on their own designs as needed. That makes perfect sense and I would like to add this as clarification. Obviously that would still be a road bump at least, but we also learned that they got a stellar team of developers in-house and that they can rely on the cooperation and knowledge-sharing of very competent partners in the Interoperability-Alliance. Personally I am relatively confident in Ethereum’s ability to deliver something worthwhile. Similar to ICON, this research was a trip down the rabbit hole for me. After careful reading and investigation, I came to the conclusion that to me, investing in Wanchain is an investment in the crypto currency and digital asset ecosystem as a whole. By integrating more and more original chains into the Wanchain while these original chains gain adoption themselves, its network value will increase further and further. Wanchain will not only be able to piggyback on the adaption and the success of other blockchains, starting with Ethereum and Bitcoin. They will thrive because smart developers and institutions will come up with new, attractive and profitable financial services and products around the digital assets connected on the network. I want to stress here what vital importance I believe digital or “tokenized” assets will have in the future. As Bruce Fenton from the Bitcoin Foundation puts it in a series of recent tweets, “right now it takes three weeks to transfer stock between brokers. With a token it will take 10 min.”¹³ It is so cumbersome to move stocks around because the existing system is highly centralized, relatively old and inefficient in nature. What captivates me most is the thought of what else developers and institutions might come with to tokenize next. Wanchain does not only have a shot at being the “distributed” or “decentralized” bank of this emerging ecosystem. With how it is set up it could become the hub for a plethora of banks, insurances and all other kinds of businesses and institutions that deal in things that are securitized today. As I pointed out, I believe we will see a lot more things being tokenized in the future. While researching I realized how little Wanchain revealed up until now. What I was able to find out about the team and especially their connections in China makes me more than confident though that we will see some major developments and partnership announcements down the road. After today’s announcements in Dubai, the real action should start to happen when they launch Wanchain 2.0 with the integration of the Ethereum blockchain in June. This is not financial advice, please do not invest more than you can afford to lose. ¹ Wanchain Whitepaper, abstract and p. 26. ¹³ https://twitter.com/brucefenton/status/985641672544530438 Fenton hints at atomic swaps for Bitcoin being the big mover in this regard but we have already spent some time explaining the advantages that cross-chain transactions have to offer.